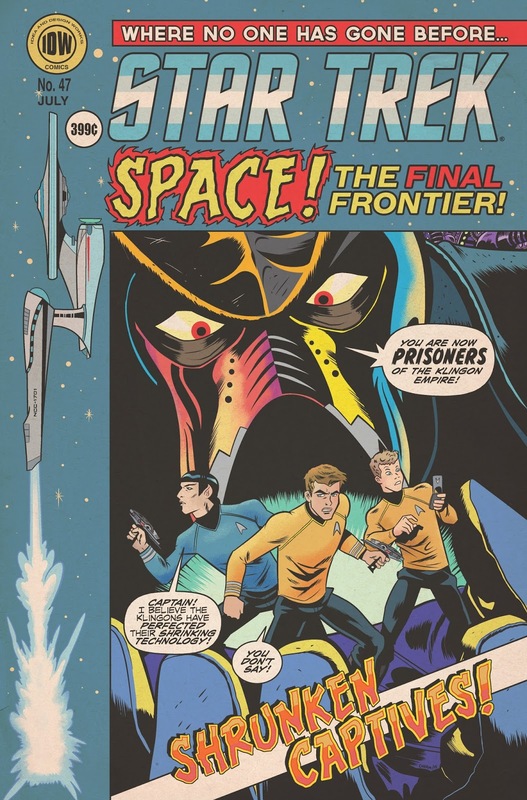 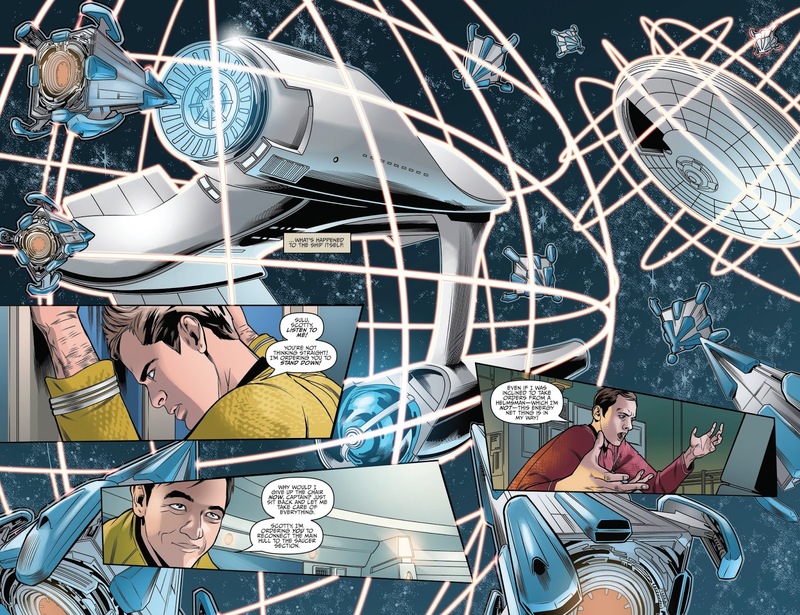 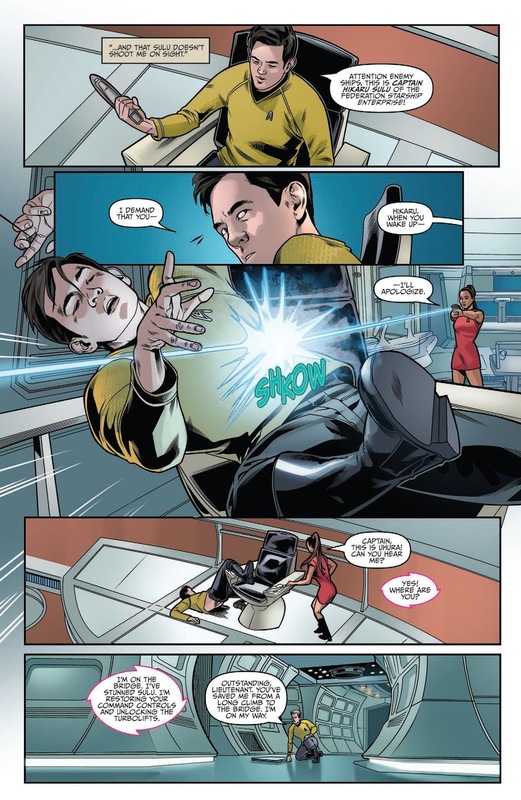 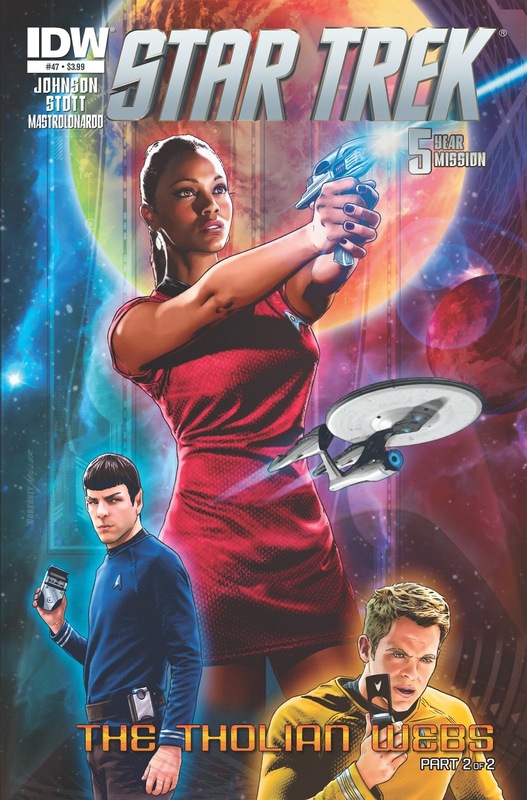 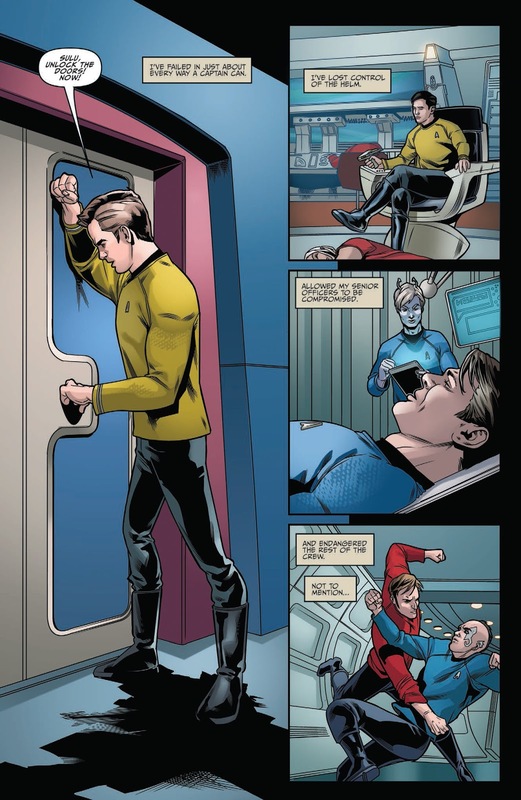 This week's new Star Trek comic release is issue forty-seven in the nuTrek ongoing comic series, the second half of The Tholian Webs. 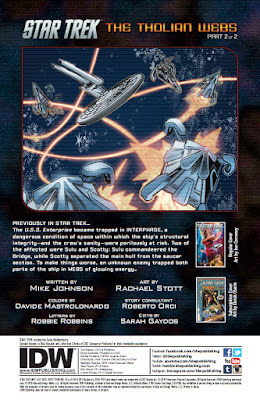 Written by Mike Johnson, with art by Rachael Stott, the story begins with the Enterprise in pieces, and ensnared in the titular webs. 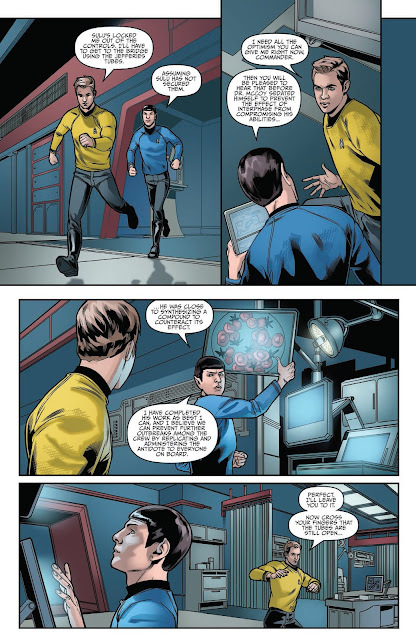 Continue below for a five page preview.